Loneliness now affects nearly half with almost three quarters defining themselves as anxious. This has been made worse by the fact that a fifth of us feel more comfortable interacting online than in person these days, with the majority of us feeling disconnected from our communities. Because of this, loneliness is becoming one of the UK's most pressing issues in society and to celebrate National Pet Day, Mars Petcare has launched a national initiative, to encourage pet owners to take a moment and thank our pets for the company, love, and loyalty they give us. On a broader scale, Mars Petcare is working with policy makers and local communities, to help eradicate pet homelessness, by breaking down the barriers to pet ownership. 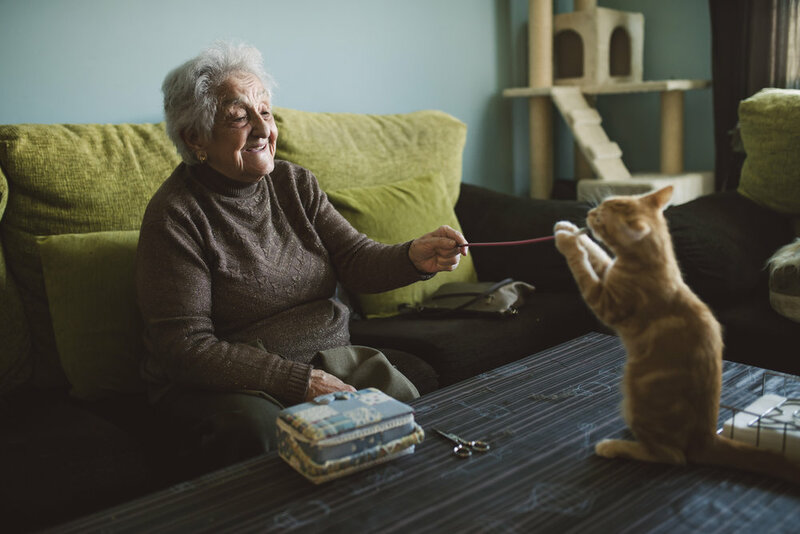 Libby the care home cat, was re-homed by Fosse House Care Home and spends her days spreading joy to those who live there and comforts residents by sitting on their laps. Leading dog food brand Pedigree have come up with the Dog Dates initiative. The video takes a look at how Jenny has benefited from the Dog Dates scheme. Having separated from her abusive husband and lost trust in people because of her experience, Jenny suffers from social isolation. Being matched with a local family who own a dog, has given her an opportunity to socialise not only with the family, but with other dog walkers and members of the community as she takes the family’s dog for a walk. PEDIGREE is encouraging anyone who is interested in bringing PEDIGREE Dog Dates to their local community to register their interest at https://uk.pedigree.com/dogdates/. The initiative welcomes people over 65 interested in making new friends, as well as families and individuals with their dogs (who are always up for another walk). Do you think this is a good idea? Let us know over on our Facebook page and Twitter page. For more news, grab the latest issue of Yours.